In what is easily one of the most bizarre Star Wars stories to come about during the Disney era, and maybe ever, a group of fans who really hate The Last Jedi are offering to remake the movie. Not as a fan film, mind you. They're actually raising money via pledges, and reportedly have financial backing from an unnamed producer, and are going to offer this money to Disney and Lucasfilm so that Rian Johnson's contribution to the franchise can be remade with a great deal of fan input. It feels like this shouldn't need to be said, but it clearly needs to be said; this remake of The Last Jedi will never happen. As of this writing, the Remake The Last Jedi website asserts they have already received more than $90 million in pledges from people who actually want to see this happen. With that in mind, it's clear that quite a few Star Wars fans, or former fans who don't like what Disney has done, believe this is not only a wise project to commit money to, but that it actually has a shot at getting made. Rest assured, it's a silly pipe dream, folks. Let's start with some simple logistics. The site states that "This is a campaign to provide Disney an opportunity to course correct with the Star Wars franchise." Alright, so let's think about that for just a minute. 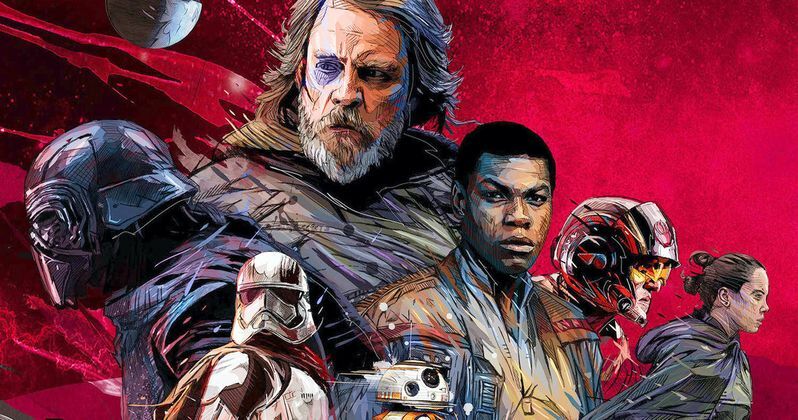 Star Wars 9 is gearing up to film very shortly. That story is obviously going to rely heavily on the events of The Last Jedi staying the same so that the story can build from there. It's clear that they would be changing the story somewhat dramatically, given the opportunity to do this remake. So how would that work with Star Wars 9? The simple answer is that it probably wouldn't. So what? Do you remake Star Wars Episode IX as well or just delay its production indefinitely? Come on! That would just be silly. The biggest nail in the coffin lies within the pitch for this remake. They're going to try and get in the door at Disney and Lucasfilm and offer them this pledged money, along with whatever money the producers put up to match it, so that they can remake The Last Jedi through the proper channels. As hard as it may be to believe, if the number on the site is accurate, they may actually be able to come up with enough money to produce the thing. That doesn't account for marketing, but still. That said, there is no way anyone at Disney even takes this meeting, let alone gives it the green light. It's dead on arrival. Sure, the Mouse House likes money, but they're not going to disrespect Rian Johnson (who jokingly wished this would actually happen on Twitter) by doing this. Especially considering that he's working on a new trilogy of Star Wars movies for Lucasfilm as we speak. Disney has built up one of the most bulletproof brands in the entertainment industry. They're not going to risk becoming a laughing stock by giving into the demands of a group of petulant fans. It's not worth whatever money could possibly be made. Everyone at Disney and Lucasfilm has surely had to acknowledge how divisive The Last Jedi became, but their answer is not going to be to take money from a group of entitled fans who have proved to be quite toxic to the Star Wars brand and fanbase overall to remake a movie that a lot of people actually like. It's divisive, not universally loathed. Quite a few people love this movie an awful lot. Let's entertain for one hot, crazy second that Disney sees some money in this and says, "Yeah. Let's do this." There are still more hurdles than they could possibly hope to overcome. Much of this relies on getting the cast back. Yes, Mark Hamill expressed his concern over the direction of the character of Luke Skywalker, but he's also defended Rian Johnson's ultimate vision. No way he suits back up for this thing. Then there's Adam Driver, Daisy Ridley, Oscar Isaac, John Boyega, Laura Dern and the rest of the ensemble. Are they really going to spit in the face of those who like The Last Jedi and the more reasonable sectors of the fanbase by agreeing to do this? No way, no how. Never going to happen. Then there's the matter of marketing this thing, even if it did get made. How would one go about that? Not to mention that their plan is to rewrite the script by essentially crowdsourcing it from fans. Scripts often get muddy and too complicated if more than a handful of people work on them. How on Earth is it going to work when literally thousands of fans are shouting about what they want? Even if this remake of The Last Jedi did happen (and it won't) there would still be countless fans who wouldn't like it. Not to mention that it would set a dangerous and absurd precedent. Fans should always be allowed to express their opinions about movies. Star Wars is more than a series of movies to a lot of people. It's precious to many, but fans don't own it. At least not in this way. Sorry to break it to those of you who have pledged your money to Remake The Last Jedi. It's not happening. Do something else with that money. Maybe put it toward a good cause? A charity of some kind or something of the like? Clearly, quite a few people have cash to spare and there are a lot of people out there in need. You know what we don't need? A remake of a movie that was released six months ago and made $1.3 billion at the box office.